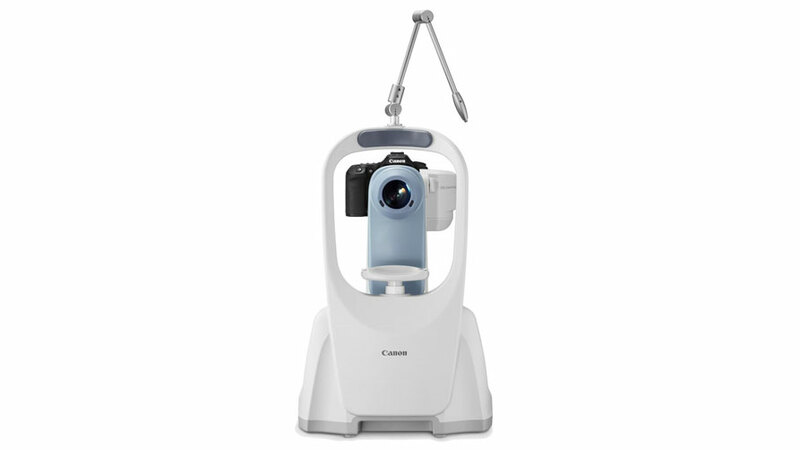 Canon CR-2 | Blue River Medical, Inc. The low flash intensity of the CR-2 minimizes miosis, thus shortening the time required for taking multiple exams such as binocular and stereo images. The reduced brightness helps improve patient comfort and reduces the “ghost” image after exposure. The simplified design of the control panel can be easily handled by a trained examiner. A one-hand joystick positions the camera for a desirable point of view. In darkly lit rooms, the operation panel illuminates for easier navigation. The 35 mm working distance between the patient and the operator allows easy access to the patient’s eyes should they need assistance with opening their eyes. Using the Canon Retinal Imaging Control Software (RICS), images can be viewed, manipulated, sent to a DICOM®* storage device or stored as DICOM or JPEG images and sent to a printer. For more information, visit Retinal Imaging Control Software. *DICOM is a registered trademark of the National Electrical Manufacturer Association for its standard publications relating to digital communications of medical information.